Venice. An essay by Nikita Stupin. Published in Eye photography MAGAZINE. Its been a while since the release if an original Venice series by Moustache and Glasses. Since then it becomes of the most significant city collections of all the material shot by the studio. Nikita’s favorite city on the planet described in crisp details in his new essay on Venice. You can find it in January issue of the Eye Photography magazine either in PDF or printed! Мир Ближе Чем Мы Думаем. Порой для того, чтобы изменить что-то в своей жизни, нужно лишь сделать шаг. Никита Ступин, основатель команды уличной фотографии Moustache and Glasses, рассказывает о том, каким этот шаг был у него. Читайте на страницах RosPhoto. New interview for Street Photography magazine podcast is out! Nikita is heavily influenced by his father, also a photographer, and Henri Cartier-Bresson.Whlle many of us are all over the place in terms of our personal style, But Nikitahas created a very consistent style in his compositions and post processing that make his work very recognizable.Be sure to check out his photos and you’ll see for yourself. How often do we see those little details?Be sharp.Look for small things. Its a perfect sunny day outside!We think you should go out and explore your streets! Dripping ink, painted walls.Cops are looking for us Ghosts. 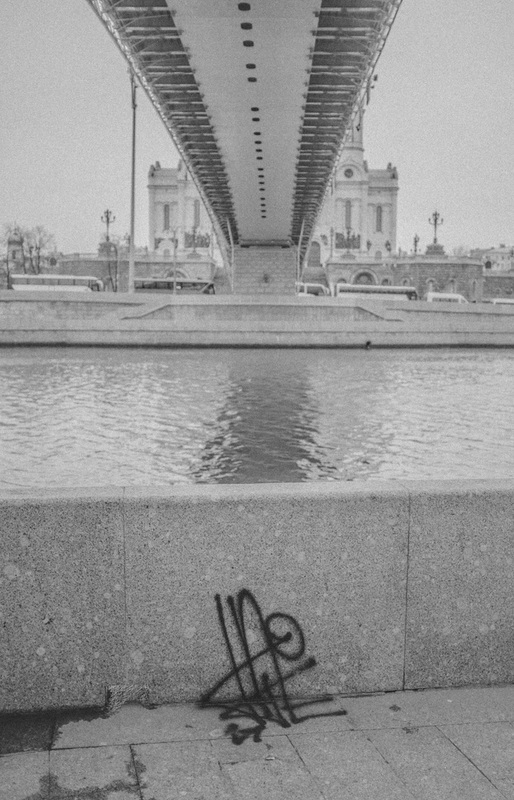 A new collaboration between Moscow based graffiti artist Hate and Moustache and Glasses are coming out soon. Be prepared! Nikita Stupin and Misha Hate. Moscow city. Most amazing place on Earth. Marina Tcvetaeva poetry on the walls of Moscow city. What a romantic concrete jungle it is. Sometimes you can find a good and tasty mix of old traditions and new technologies. And it is all on the streets... Right in front of us. Watch for new interview with Nikita Stupin at Geometria TV channel! Nikita Stupin-founder of Moustache and Glasses agency. Moustache and Glasses and Fujifilm visited Ekaterinburg city with Touch and Try sessikn and a great lecture on Secrets of street photography. First collab photowalk Mostache and Glasses/Fujifilm is officially done!